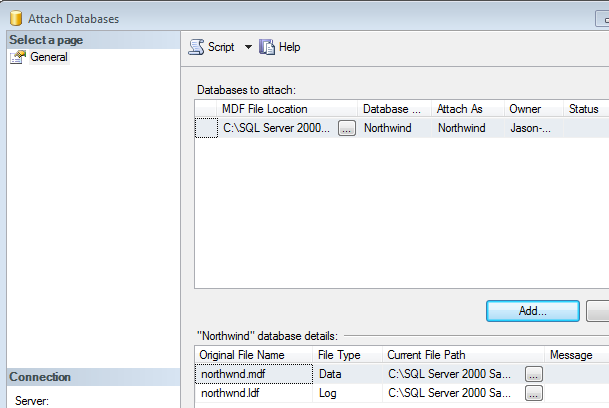 If you look on the web you will eventually find an example that refers to the Northwind sample database in one of the their examples. 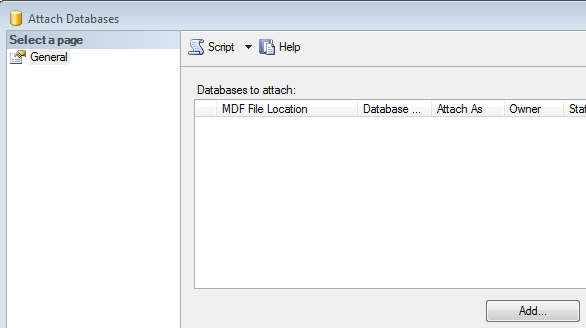 What they fell to tell you is where to find this sample database and how to add to your database. 1. Go the URL http://www.microsoft.com/en-us/download/details.aspx?id=23654 and download the Northwind and pubs sample database from Microsoft. 2. 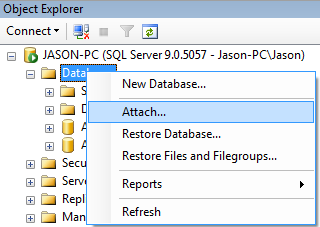 Double click on the SQL2000SampleDb.msi file, then click "Run"
5. 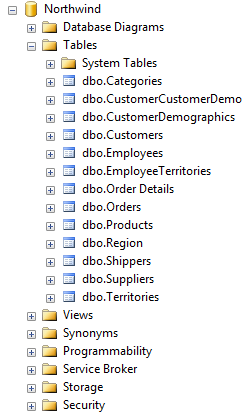 Right-click on the "Databases" node inside the "Object Explorer" window, then select "Attach"
Note: You can perform the steps above for the pubs sample database, the only thing you have to watch out for is that some sample databases might not be compatible with your version of SQL Server. In that case you will have to run the .sql script instead if you want to use the database. There might be some trial and error involve if you have to run the sql script but it shouldn't be too bad.